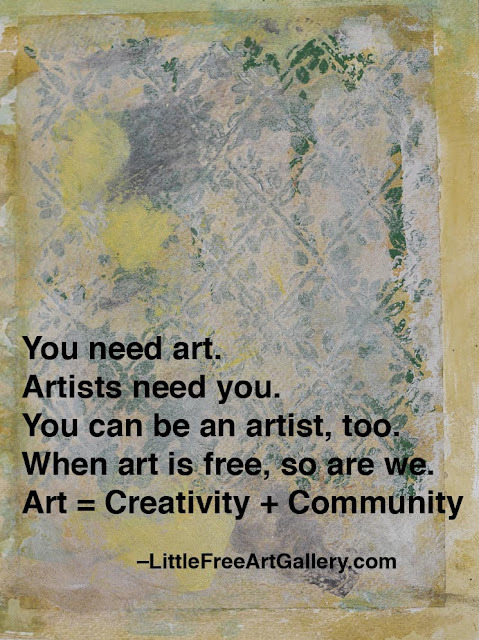 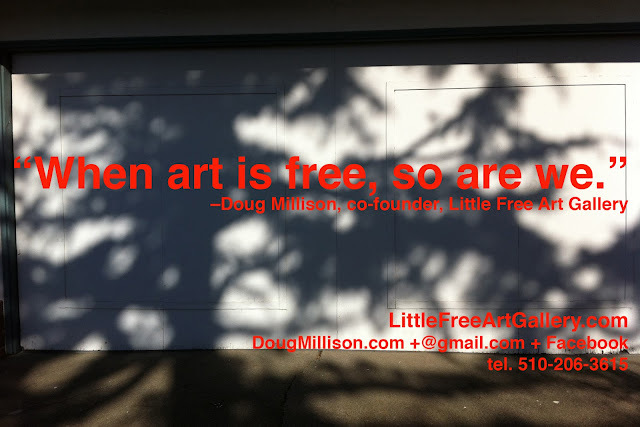 Little Free Art Gallery [LittleFreeArtGallery.com] is a work of "social art" that borrows the social form of the art gallery and incorporates the activity of the people who visit and "enter" the gallery installation, and who take a piece of art from it. 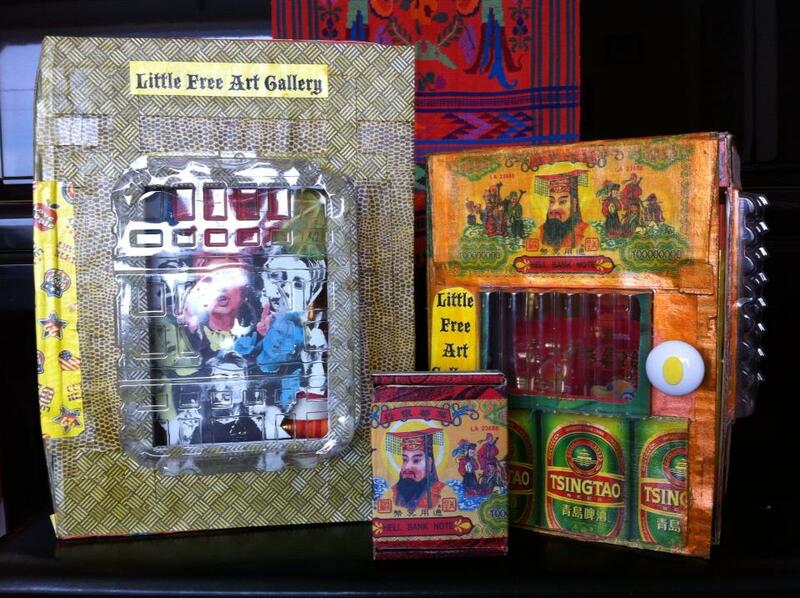 Little Free Art Gallery installations range from room-sized spaces that present multiple works to small "Single-Serving Size" containers that deliver a single piece of free art. Visitors are invited to open the door and "enter" the Little Free Art Gallery, view the art work on exhibit within, and to take the Little Free Art Gallery home (in the case of a Single-Serving Size box) or who take a piece of art from it if the Little Free Art Gallery in question is a permanent installation. They are also invited to contact the Little Free Art Gallery blog or Facebook Page, to let the project know where the art work ended up, in whatever level of detail the new owner is willing to provide. I donated three new "Single-Serving Size" Little Free Art Gallery works to be exhibited and given away at the "The Free Gallery" show, February 26 - March 29, 2013, at Pro Arts in Oakland, CA: The Hilary Box, Boss Joss, and Big Joss Man, Can't You Hear Me When I Call?